Want to benchmark your growth capabilities… so you can chart a course for consistent growth? 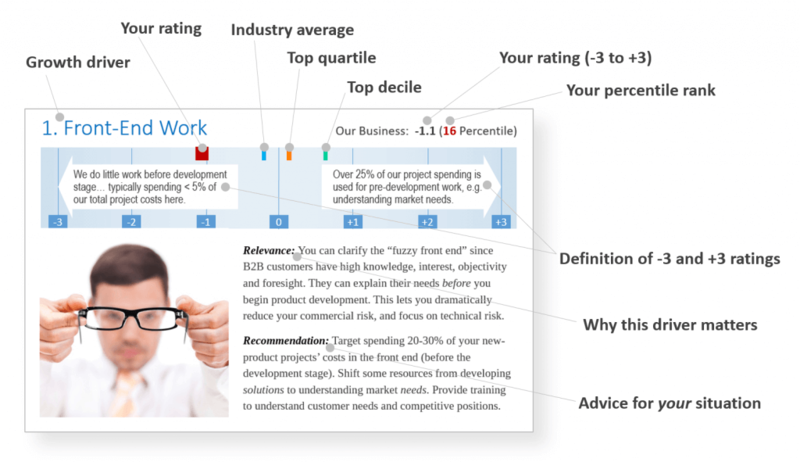 This free service shows you precisely which growth drivers to focus on. If you had been thinking of hiring a growth consultant, you can put your wallet away. But every business is different, and it would be foolhardy to pursue 24 growth drivers all at once. 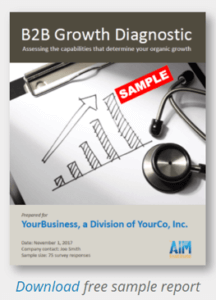 This diagnostic shows how you compare to average, top quartile, and top decile companies for each growth driver… from The AIM Institute’s database of over 4500 respondents. As you improve these growth drivers, you are building your growth capabilities. 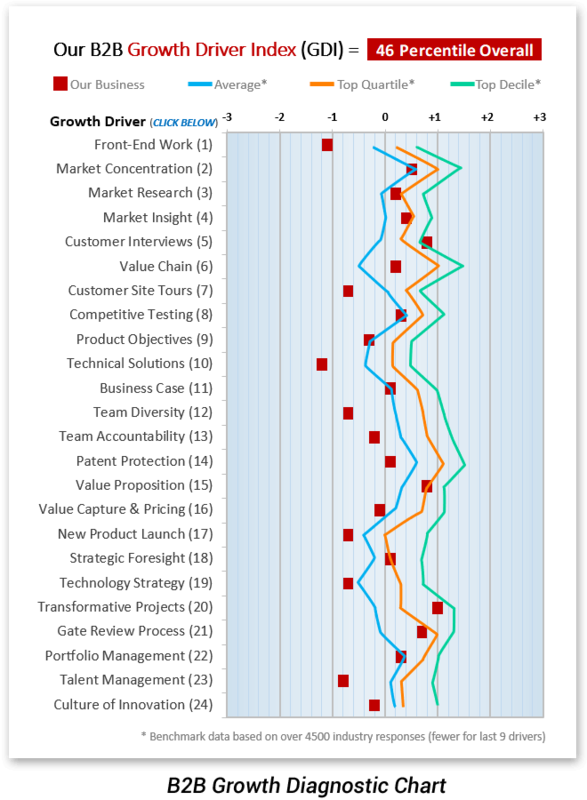 Most companies over-focus on near-term results and under-focus on capabilities. Who wouldn’t aggressively build their capabilities ahead of an important chess or boxing match? Yet many business leaders don’t a) objectively assess their growth capabilities, b) develop a comprehensive improvement plan, and c) track how they’re improving. Your journey starts with this diagnostic. Your employees take an online 24-question survey to confidentially assess your business’s growth capabilities. Optional: You can schedule a web-conference between our staff and your leadership team to review your results. 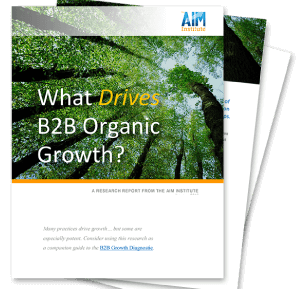 Want to build your capabilities so you can count on strong organic growth? Want to separate yourself from the masses who hit the “reset” button every year and hope for better results? Contact us to get started with this free diagnostic. The diagnostic doesn’t just tell you how you’re doing now. It tells you how to get better, with recommendations for each of the 24 growth drivers (see below). You’ll now have a “baseline” of your growth capabilities, so you can create an intelligent plan to improve them. You may want to perform this growth metric annually to ensure business leaders leave their business “stronger than they found it.” With today’s intense short-term financial pressures, some may be tempted to “eat their seed corn,” when they should be planting for the future. This diagnostic provides a sturdy counter-balance to such behavior. 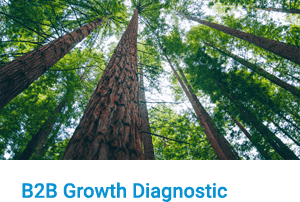 Contact us to learn more about the B2B Growth Diagnostic. Download this sheet to see how easy it is to conduct this Diagnostic for your business! Learn to drive rapid, profitable, sustainable growth at your company… and focus on what matters most. 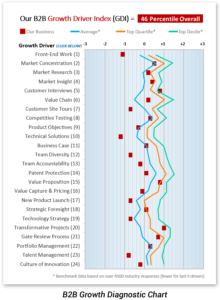 Learn how to benchmark your firm's growth capabilities... for free.